SEBI has imposed a fine of Rs 10,00,000 on AKG Securities and Consultancy for the violation committed while trading the shares of One Life Capital. SEBI which probed the IPO fraud committed by Taksheel Solutions promoters has imposed a fine Rs 76 crore on the company and 15 persons, including the promoters. United Spirits has lost 15% in the last 7-8 trading sessions after touching Rs 2800 level on 18th June. Market rumors are that unaccepted shares in the recently concluded open offer will flood the exchanges hence the unwarranted fall. The stock is currently trading around Rs 2400. Buy the shares at the current level. The stock will bounce back in the next 2-3 trading sessions and will settle down around Rs 2800 in the near term. FIIs have net bought to the extent of 1288 crore in cash market, today. In the meanwhile DIIs have net sold marginally in the same segment. ITC has seen a net delivery of 90% indicating further upward movements in the next 2-3 trading sessions. Similarly high percentage of delivery has taken place in ONGC, L&T, Sunpharma and ICICI bank stocks. These counters are likely to witness heightened trading activities tomorrow. ## for 36 moths, 60 months and 84 months respectively. Apart from increasing the basic exemption limit finance minister the Finance Minister is considering doubling the exemption limit for investments by individuals in financial instruments. Presently the investments and expenditures up to a combined limit of Rs 1 lakh get exemptions under Sections 80C, 80CC and 80 CCC of the Income Tax Act which is likely to be increased to Rs 2 lacs. Ever green stock ITC has surged 1.4% with huge volumes in today's morning trade. The stock as of now trading around Rs 325. Public sector banks like Canara, IOB, BOI and Vijaya bank are planning FPOs to shore up the capital to meet the growing business needs and comply with BASEL III norms which will come in to effect from the year 2018. Compared to their size of operations most PSU banks have smaller capital base. Security services firm Security and Intelligence Services India is planning to build a war chest to scale up operations and step-up acquisition. In this regard the company intends to raise Rs 500 crore. CX Partners are one of the early investors in the company. F&O rollover highlights as provided by SBI CAP's Research Team, for July series. Nifty Jun future Settled at 7493.20 against May future settlement of 7235.65 gaining 3.56%. Market wide rollover 84.11% compared to 82.82% of previous month and 3 month's avg of 80.85%. Nifty rollover seen at 71.39%, lower compared to previous expiry rollover of 59.7% and 3 month's avg of 58.47%. Nifty future OI Stands at 147lk shares, lower by 8.75% compared to the previous Expiry. Maximum Buildup of open interest in Nifty option observed at 8000 Call and 7000 Put. Sector wise strong rollover observed in FMCG, Capital_Goods, Cement and Oil_Gas. Sector wise weak rollover observed in Telecom, Textile and Technology. Individual highest roll over observed in JSWSTEEL, UNIONBANK, MCDOWELL-N, KTK BANK, ALBK, and BIOCON. The significant gain in rollover compared to previous rollover observed in UPL, NTPC, RELIANCE, TATAPOWER, POWERGRID, and ITC, while drop of rollover observed in IGL, ARVIND, BHARATFORG, IFCI, and CESC. SAT will announce its judgement today in the case pertaining to inside trading in RIL group stocks. SEBI started the probe into the Reliance Petroleum (RPL) insider trading case and had investigated into trades carried out in the RPL scrip and also sale of shares of RPL, the allotment of the company’s equity shares to certain companies against detachable warrants attached to privately placed debentures issued by the company and disclosure of earnings per share . The case has been with SAT since FEB 2007. NSE is setting up new Investor Service Centers at Vadodara, Patna & Lucknow with effect from June 30, 2014. Country's two biggest public sector banks - SBI and BOB wants the Reserve Bank of India to include a portion of their gold deposits to meet the statutory pre-emption requirements relating to either cash reserve ratio (CRR) or statutory liquidity ratio (SLR), both of which banks consider as non-productive. Sai Info System's Sunil Kakkad has been arrested by Interpol and the local police in Liberia in connection with the alleged bank fraud. The company has defrauded SBI around Rs 1000 crore and its chief Sunil Kakkad was missing since 2012. The company is based at Ahmadabad. United Bank of India has asked Vijay Mallya and three other directors of grounded Kingfisher Airlines to appear before a panel of the bank at the head office here on July 9. On hearing them the bank will take a call on declaring Mallya as a willful defaulter or otherwise. ONGC and its overseas arm, ONGC Videsh, are planning to raise money in the offshore bond market and may issue US dollar- and euro-denominated unsecured bonds. The road show for this may begin next week. The Competition Commission has imposed Rs 1 crore penalty on Thomas Cook and Sterling Holiday Resorts, for carrying out certain market purchases, before the merger deal was made public. Blackstone and Embassy Group, have plans to set up an Real Estate Investment Trust (REIT), and get it listed on the Indian exchanges. The finance ministry is expected then to clarify tax rules for REITs in the budget. The Blackstone and Embassy have a joint portfolio of more than 20 million square feet of offices in India. BNP Paribas has agreed to pay an $8.9bn fine for allegedly violating sanctions rules to U S authorities. The bank is accused of breaking sanctions against Iran, Sudan and Cuba, between 2002-09. Normal Market open time 10:15 hrs. Normal Market close time 15:30 hrs. Position Limit/Collateral value Set up cut off time 15:40 hrs. Trade modification end time 15:40 hrs. Live Re-login start time 17:30 hrs. Live Re-login close time 18:00 hrs. SEBI has directed attachment of bank and demat securities accounts of Ranbaxy’s former director, V K Kaul, as well as his wife to recover dues worth Rs 77.83 lakh from them in a matter related to insider trading in the shares of Orchid Chemicals & Pharmaceuticals Ltd.
SEBI has to recover Rs 50 lakh and Rs 10 lakh from the duo with interest there on. Bank union leaders have met the Finance Minister Arun Jaitley and requested him to intervene in the wage revision matter and ensure that the current stalemate in the negotiations towards the 10th bipartite settlement is quickly sorted out. The 9th bipartite wage settlement expired in Nov 2012. The meeting was facilitated by D. Raja , Member of Parliament, Rajya Sabha. Barclays has maintained ‘overweight’ rating on Power Grid and has raised the DCF-based price target to R149 , as against Rs 123 set earlier. PAT estimates has been raised marginally for on hopes of better asset commissioning over the next three years. The stock closed at Rs 132 on the exchanges yesterday. Axis bank is likely to post an EPS of Rs 150 plus for FY15. At current price of Rs 1926, the stock is available at less than 13 PE on FY 15 earnings. The stock should easily scale up to Rs 2400 in a yer's time. Buy at CMP. ESSAR OIL FIXES DELISTING PRICE AT RS 108.15. Shares of Essar Oil has fixed the delisting floor price at Rs 108.15 a share. The stock closed at Rs 112, up 5 percent. Essar Energy Holdings , promoter group company will buy back from the public about 13.7 crore shares of the paid-up capital of the company. ITC corrected 7 percent last month (June series) on the fears of steep hike in excise duty on cigarettes. Now it is trading around Rs 316. This is a good entry point . The stock should perform well irrespective of budget shock. Idea is consolidating its position in the market and should do well in the years to come. Many brokerages are bullish on the these stocks. Buy them at CMP. Japanese financial services giant Sumitomo Mitsui Trust Holdings Inc may buy a 10% stake in Reliance Capital. At the current market price , the investment could be around Rs 2500 crores. Stock markets in Europe and America yesterday closed in red. However markets here are expected to open higher today. Being the first day of July series bulls are likely to build strong positions in selected bank, cement, auto and pharma stocks. Factors that will influence the markets today are- oil prices - in the international markets which closed lower and RBI indicating that banks asset quality are improving. Alibaba will list its shares on the New York Stock Exchange (NYSE), rather than on the technology focused Nasdaq. Analysts expects the public listing could be worth more than $20bn. A stable government has brightened prospects of India's economic recovery according to the Reserve Bank of India. However there are supply side concern to tame inflation. Ashok Leyland plans to 650 crore through placement of shares to qualified institutional buyers. The company has fixed the QIP issue floor price at Rs 34.30 per equity share. The stock closed flat at Rs 38.20, yesterday. Reserve Bank of India says that the overall asset quality of banks has improved in the recent past with a reduction in bad loans. Banking sector risks have increased since December 2013, as shown by the Banking Stability Indicator. Though there was a marginal improvement in asset quality, concerns remain about the liquidity and profitability aspects. Stress tests indicate higher vulnerability for public sector banks as compared to their private sector counterparts. Front line banks stocks likely to open and stay higher in today's trade. NSE has shifted 126 stocks to trade for trade segment wef 30-06-2014. Among those which included in the list are - BEML, Suzlon, D B realty, IIFL Holdings and TCI Developers. RIL stock is expected to come under selling pressure since the government has deferred the decision gas pricing by 3 months. The stock has been a under performer in the last 3-4 yeas compared to the benchmark indices. The Stock Exchanges with a view to take preventive surveillance measure to ensure market safety and safeguard the interest of the investors, based on the criteria jointly decided by SEBI and the Stock Exchange move scrips trade to trade on a fortnightly basis and carrying out a quarterly review to move out or move in the scrips from / to trade to trade. The criterion for moving in /out of trade to trade has been formulated over 10 years ago and it was felt that there is a need to review the criterion so as to align with the current market dynamics. Therefore SEBI and Stock Exchanges after deliberation and discussions have decided to revise the criterion and periodicity for trade to trade activity. i. The period of review of shifting scrips into and out of TFT segment shall be standardized to a frequency of one month, wherein securities will be both moved in /out of TFT segment during each review. ii. Price variation in eligible scrips (Wherever used as a parameter in the criteria) would be compared, if available, to the price variation observed in the respective Sectoral Index of the Industry to which the concerned scrip belongs or the price variation observed in a broader based index (S&P BSE 500/ CNX-500) representative of the market as a whole. In case a particular Sectoral Index is available only on one exchange the other exchange shall also use the same to compare price variation in scrips of the concerned sector for the purpose of shifting to TFT segment. iii. Only the scrips trading under a 5 % price band for a period of at least 22 trading days, as on the review date, shall be eligible for shifting to TFT segment. Accordingly, the review process for upward revision of price bands shall be aligned with monthly trade to trade activity. iv. Scrips moving out of TFT segment would be placed under 5 % price band until the next review for upward revision of Price bands. The portable action camera company, GoPro, has priced its share at $24 a piece. The shares will be listed on NASDAQ today. Reserve Bank of India has asked card issuers to relax the norms in respect of credit card payments. Accordingly card holders have time till the next billing cycle to pay the money, without late payment charges. CLSA's latest preferred plays include ICICI Bank, SBI, Ultratech, L&T and Maruti. Among the mid-caps, it expects Indus Ind, PFC, Ramco Cement, Jubilant Foodworks, JSW energy, Prestige Estates and Motherson Sumi as top investment bets. However, among mid-caps, FirstchoiceIPO is bullish only on Indus Ind, Ramco and JSW energy. Barclays bank faces fraud charges in the USA. The bank's "dark pool" trading operations have been termed as structured fraud by New York state prosecutors. Dark pools allow banks' clients to trade large blocks of shares while keeping prices more private. SEBI has directed attachment of bank and demat securities accounts of Shiv Impex to recover pending dues amounting to Rs 3 crore in a case related to fraud committed in the IPO of Edserv Softsystems. Maruti will introduce 5 new models in the next 6 months according sources. The stock gained around 3 percent in today's trade and closed at Rs 2471.
Business per employee in SBI has increased to ₹10.64 crore as at March-end 2014 against ₹7.04 crore as at March-end 2011. As on March-end 2014, SBI had 2,22,000 employees. ICRA has upgraded the long-term rating assigned to the Rs. 4,000-crore non-convertible debentures of Indiabulls Housing Finance Ltd to AA+ with stable outlook. The stock gained Rs 14 and closed at Rs 380. Finance Ministry is mulling the idea of allowing retirement and gratuity funds to invest up to 30 per cent of their money in the equity market. EPFOs, at present hold over Rs 5 lakh crore in their kitty. Ahead of F&O expiry FIIs have net bought to the extent of Rs 694 in cash market where as DIIs have net sold for Rs 434 in the same segment, in today's trade. The central government may impose an additional penalty around Rs 3300 crore on RIL for producing less-than-targeted natural gas from its eastern offshore KG-D6 block. The penalty in the form of disallowing costs incurred on the field, for missing the target in 2013-14. Reserve Bank of India has allowed commercial banks to appoint non-banking finance companies (NBFCs) as Business Correspondents (BCs) to accelerate work on financial inclusion. Only non-deposit taking NBFCs will be eligible to act as BCs of banks for financial inclusion program. Bajaj Auto's quadricycle will hit the road by Oct this year. R Com has plans to raise Rs 4,300 crore by way of a qualified institutional placement (QIP) of shares and a preferential offer to promoters. The funds will be utilized to repay debt. The combined market turnover of BSE and NSE registered a new high at Rs 6.86 lakh crore, crossing its previous high figure of Rs 5.33 lakh crore it had touched on October 31, 2013. NBCC has been granted "Navratna Status" w.e.f. June 23, 2014 on the basis of its performance upon fulfilling the criteria prescribed by Department of Public Enterprises. 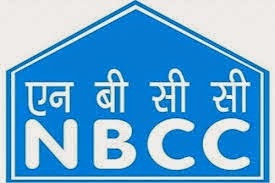 Shares of NBCC closed at Rs 318, up Rs 18. Bansal Roofing Products's IPO will open on 26-06-2014. The company intends to mobilize Rs 2.04 crore at a price of Rs 30 a share. Shares will be listed on BSE(SME). According to D&B Maharashtra is home to 205 of the country’s top 500 companies. According to the study, 288 companies featuring in India’s Top 500 Companies account for more than 10 per cent of India’s total employment in organised sector. They also contribute 20 per cent to the country’s GDP. The report also reveals that India’s Top 500 Companies are resulting for about 30 per cent of India’s total exports helping in building brand India in the global arena. NOMURA MAINTAINS BUY ON ITC, TARGET RS 392. Labels: NOMURA MAINTAINS BUY ON ITC, TARGET RS 392. 2. In principle approval to banks for IPO, preferential issues of capital and qualified institutional placements within 30 days. 3. Permission to banks for expanding the scope of para-banking activities of the bank/it’s subsidiary within 45 days. 4. Authorization for import of gold/silver by banks within 60 days. Bharti Airtel has signed a definitive agreement with Loop Mobile to acquire the latter's operations in Mumbai. Thyrocare Technologies, which runs diagnostic laboratories, is considering an initial public offering to allow early investors an exit route. The offer could be in the range of Rs 500 crore. FORTHCOMING IPOs - DOT COM BOOM AGAIN? The following dot com companies are actively considering funds mobilization through IPO for scaling up of operations. Labels: FORTHCOMING IPOs - DOT COM BOOM AGAIN? Hero will introduce models in the 100cc, 110cc, 125cc and 150cc segment to complement its existing two-model line-up of Pleasure and Maestro, which are powered by a 102cc engine. Hero MotoCorp's new plant in Neemrana, Rajasthan with a capacity of 750,000 units a year, which will begin production this month. Vodafone India has revised its mobile Internet rates for 2G and 3G upwards across the country, and the same is being implemented in a phased manner. Other operators are likely to follow the same model. Telcom stocks will react to this new developments positively tomorrow. ITC lost around 6% in today's trade on the reported news of health ministry making a plea to finance ministry to increase the taxes on cigarettes by as much as by 100%. There is nothing wrong with ITC fundamentally. Even if the taxes are going to be increased by substantially, the company, as in the past, will pass on the same to end users, without losing any business revenue. More over ITC is not a pure cigarette company. Nearly 40% of its revenue are derived from non cigarette segments. Its hotel, FMCG and information technology segments are doing exceedingly. The stock has come down purely on negative news flow / sentiments. Buy at CMP, the stock may touch 350 level in a months time. UBS MAINTAINS BUY ON RIL, TARGET RS 1400. The trades executed in ‘Z’ stocks group are settled on Trade for Trade basis. SEBI ATTACHES BANK ACCOUNTS IN ASIAN STAR CASE. NITA AMBANI ON RIL BOARD. IS IT A RIGHT MOVE?